Chakras are centres of force that are found in the body and also beyond the physical. The ones in the body are actually situated in the etheric body which is the energetic blueprint for the physical. Chakras are vortexes of energy that create our auric field. There are many different systems that describe the chakras but the one I am talking about here describes a 12 chakra system. Of course there are many minor chakras also such as the ones situated in the palms of the hands, the soles of the feet and the ones located within the eyes and ears. But this article focuses on the major 12 chakras. 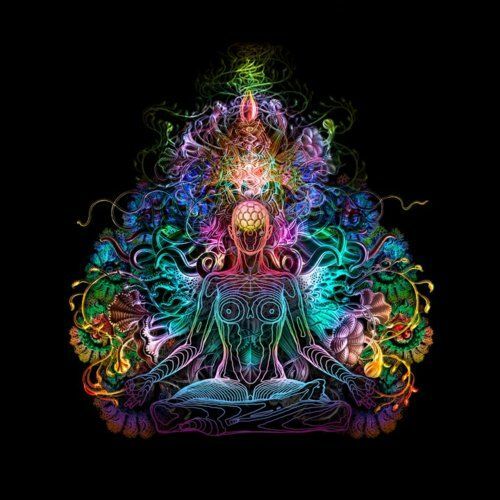 Activating the chakras is the process of enlightenment, in other words bringing more light and consciousness into the physical, etheric, emotional, mental and spiritual bodies. The chakra system is linked by a vertical energy channel runs from the top of the head, along the spine and down into the core of the earth. This channel also extends up into the heavens and is anchored within our sun, the Galactic sun and the sun at the centre of this Universe. The ideal is to have an open inner channel free from any energetic obstruction and a balanced and fully functioning chakra system. There are many issues that can arise when it comes to this subject, many of these have been covered elsewhere in previous blog posts. As far as this discussion goes I have narrowed the focus to explore briefly what happens when an energy centre is too active/open/stimulated or conversely or when it is underactive/closed/constricted. (This applies to the seven situated in the body and not the ones outside of the etheric body. Here the main issue is that the chakra is dormant so to speak). Spiritual practise tends to wake up all 12 chakras and this process can be greatly speeded up by certain creative visualisation practises. One of the best metaphors to use for a chakra is a flower. This is a good image to use when meditating and bringing in more light into the centre. In the description I have given the standard colour associations with each chakra. The Root chakra situated at the base of the spine is about being physically rooted in the body and feeling at home in situations. This is about feeling at home on the earth. Feeling connected to your tribe. Feeling grounded, stable and secure. A balanced root chakra will mean you feel you have sufficient space/territory. The colour normally associated with this centre is deep blood red. Imagine a flower in the perineum area pointing downwards. This flower can be closed like a bud or open in full bloom. When underactive – this generates a sense of being anxious, fearful or nervous, trouble being grounded, issues with money. In extreme cases it can create the experience of homelessness and/or a desire to escape the planet. When overactive – you may be too grounded, overly materialistic, a chronic need for security through having more stuff. The Sacral chakra is situated in the navel area. This centre is about feeling, pleasure and sexuality. When it is open it is easier to feel intimate with yourself and others. Feelings flow freely and there is emotional and physical expression without you being over-emotional. Sexuality is about pleasure. Imagine a flower pointing to the front and one pointing to the back. The colour of this centre is tangerine orange. Again imagine a flower pointing to the front and another pointing to the back. Underactive – this can create a sense of feeling detached, distant, aloof, stiff, frigid and unemotional. Overactive – over-emotional, over sensitive, emotionally attached to people, the classic party animal, can be overly sexual. The Solar Plexis chakra is about personal power, will, assertion, feeling in control, self-confidence. This is the centre that generates courage, confidence and helps us take action in the world. The colour of this centre is buttercup yellow. Again imagine a flower pointing to the front and another pointing to the back.Under-active – this creates a sense of being passive and indecisive. A lack of courage. Over-active – this creates an overbearing character, arrogant, controlling, domineering and aggressive. The Heart chakra is about social interaction, love, kindness and affection. When it is open, you are compassionate and friendly, and you work at harmonious relationships. The colour of this centre is green/pink. The green is about social engagement and the pink is about unconditional love. Again imagine a flower pointing to the front and another pointing to the back. Under-active – a sense of being cold and distant, withdrawn. The heart closes where there is a lack of trust. Over-active – can manifest as suffocating people with your love. Love becomes conditional and a way to control/manipulate others. The Throat chakra is about communication and self-expression in all forms. This chakra governs talking, writing and all forms of artistic expression. The colour of this centre is sky blue. Again imagine a flower pointing to the front and another pointing to the back. Under-active – can create a sense of being introverted and shy. Not wanting to speak out. Perhaps fear of being too visible in the world. Over-active – the classic chatterbox, speaks too much and at the same time can be a bad listener. The Third Eye chakra is about the higher faculties of the mind, insight, intuition, inspiration, feeling guided. When balanced and open there is an ability to see beyond appearances. There is an ease with creative visualization. The colour of this centre is indigo blue. Again imagine a flower pointing to the front and another pointing to the back. Under-active – rigid thinking, seeing is believing, not very visual or visionary and not very imaginative.Over-active – here fantasy and even hallucinations are likely. In extreme cases psychosis can occur. The Crown chakra is connecting to a spiritual practise that has meaning and depth. This is our connection to the higher chakras and to our Higher Self. The Higher Self is the gatekeeper that connects us to our guides on a number of levels of existence. The colour of this centre is violet. This time imagine a flower pointing upwards in the centre of the top of the head. Under-active – no connection to spirituality or a fear to opening to a spiritual path.Over-active – the classic space cadet. Very connected to the light but less connected to Mother Earth. 8th Soul Star chakra – Located about 18 inches above the crown chakra. The soul star is the “seat of the soul.” When this chakra is open and connected to the seven within the body then we can begin to access our Akashic Records and also our soul’s mission/higher purpose for this incarnation. See this chakra as a sphere of bright white and rainbow coloured light. 9th Earth Star chakra – Located about a foot and a half below the surface of the ground. It ensures our connection with the earth. This is the centre of Kundalini force which is asleep until awakened by spiritual practise. This centre also connects us to our family line and ancestors. See this chakra as a sphere of bright coppery/gold light. 10th chakra – This centre does not need to be located in space/time. You can imagine the sun itself is the chakra. This chakra connects us to the monad or oversoul. Connecting with this centre is a major step in our awakening. To connect with the 10th chakra we have extended our inner channel into the core of the sun and stabilised there. This allows us to download light and information through the solar stargate. This centre connects us to the angelic forces that dwell in the sun. This is a powerful step forward in our spiritual evolution. By connecting to this chakra we start to be less affected by the energies around us and more able to influence and shift energetic atmospheres around us. 11th Chakra – This centre does not need to be located in space/time. You can imagine the Galactic sun itself is the chakra. Our solar system revolves around a Galactic centre which, like our solar system, revolves around a sun. You can think of this as the sun behind the sun. This centre connects us to higher angelic forces and masters of light. Not much more needs to be said about this centre right now. 12th chakra – This centre does not need to be located in space/time. You can imagine the Central sun at the heart of our Universe is the chakra. This chakra connects us to the Elohim, angelic master builders. This is our direct connection to Source Energy or God/Goddess All That Is. This is but one universe of countless universes. So long as we are in a physical body this is the highest connection we can make to Source Energy. Not much more needs to be said about this centre right now. For those of you who want to experience the chakras here is a meditation on releasing other people’s energy from your energy bodies and energy centre.